The 2,500-sq-ft bistro and bar seats 120 guests, and serves breakfast, lunch and dinner every day from 6 a.m. to 10 p.m. When do they start serving beer? The 2,500-sq-ft bistro and bar seats 120 guests and serves breakfast, lunch and dinner every day from 6 a.m. to 10 p.m. 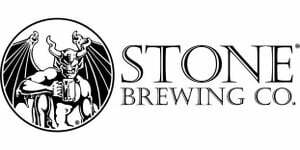 Ten Stone beers, including year-round and special releases, as well as two guest taps, are served from the 12-tap bar. For those wishing to enjoy a bottle on location or take it with them to their final destination, six bottled San Diego craft beer options are available for purchase. Stone’s signature motif has been recreated to include a granite bar top, repurposed vintage wood and a rust-patina rebar railing on the venue’s perimeter. Similar to the company’s two farm-to-table restaurants, Stone Brewing World Bistro & Gardens — Escondido and the near-to-the-airport Stone Brewing World Bistro & Gardens — Liberty Station, Stone Brewing Co. in Terminal 2 offers a menu built around the company’s well-known ethos of focusing heavily on locally grown, organic produce from farms around Southern California, including the company’s own Escondido-based Stone Farms. Signature menu items (which pair well with a carefully selected craft beer any time of day) include Brioche French Toast, Stone Levitation Ale BBQ Duck Tacos, Bruschetta BLT Sandwich and Stone Farms Garden Salad. A few kid-friendly menu items are also available for order; after all, half-pints deserve the best the airport has to offer as well.